One of the true joys of writing this column is meeting so many lovely people who have great tales to tell about their memories of living and working by our stretch of the Thames. You may remember that a couple of weeks back, I focused on the refurbishment of the lock gates at Teddington and mentioned that they had stood the test of time remarkably well given more than 40 years of immersion in the river. Tommy, now 83, worked for the Thames Conservancy (later Thames Water) at their Sunbury yard where he was the foreman carpenter. He said: “They used to use greenheart timber for things like lock gates but good quality supplies of greenheart were running out and I was asked to go over to Holland with some people from the Conservancy to look at other kinds of timber. We saw African ekki and it looked to be perfect so we ordered a batch of it for the Teddington gates. “I was the most unpopular man in the yard with my team because it was like cutting concrete – it was incredibly difficult to work with. Tommy, who left Kenton Manor School in Sunbury at the age of 14, always wanted to be a boat builder – and for several years that’s precisely what he did at George Wilson’s yard on Sunbury Lock island. He recalls: “I started work there as an apprentice in June 1943 earning 14 bob a week (70p in today’s money) and I worked from 8am to 6pm every day. Tommy really wanted to get to learn about naval craft design and the yard agreed that he could go on a training course at a college in the Mile End Road. 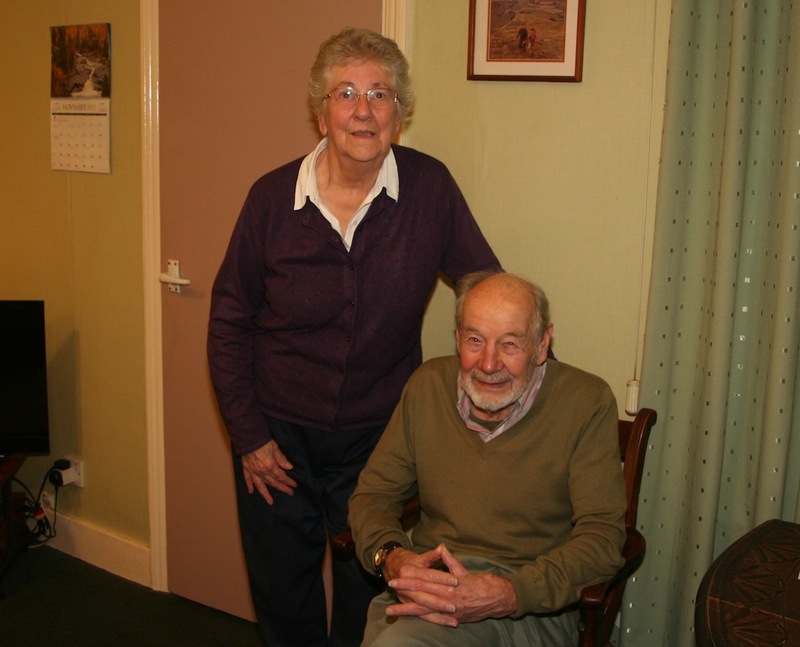 Tommy married his lovely wife Betty in 1956 – ‘we met at the 21st birthday of a friend of mine in Feltham’ – she recalls, and shortly after that they moved into their house in Stanley Road, Ashford where they’ve lived ever since. And Tommy used his carpentry skills to build a lot of their furniture including some beautifully finished easy chairs. It was a real pleasure talking to Tommy and Betty and to understand the skill and dedication he and his colleagues brought to the business of maintaining the Thames lock gates. I just hope the current crop of craftsmen have half the traditional skills that Tommy Barr is rightly proud of. Well we can all dream, can’t we?